In 2009 the Myakka Grass Root Fund was set up by the Wincanton fair trade furniture company. 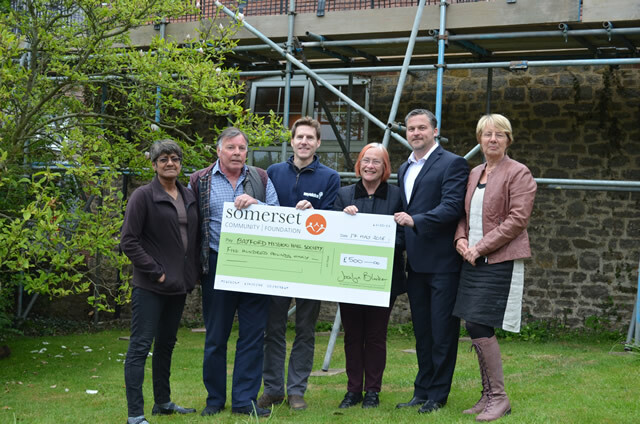 Working with the Somerset Community Foundation (SCF), Myakka uses the fund to help support the local community within the South Somerset area. The most recent project to benefit from the Myakka Grass Root Fund has been the preservation of Bayford Chapel, the only community facility serving the small villages of Bayford and Stoke Trister. The former chapel was originally built in the late 1880s and, up until last year, had been in Trust with the Bath & Wells Diocese. However, in 2015 the Diocese decided that the major renovations required meant it was non-viable to continue to maintain the building. A small group met to assess the future of the hall and following a survey within the parish, it was overwhelmingly decided that Bayford should own and retain it as a community facility. As a result the Bayford Mission Hall Society was set up and, in the first instance, the charity successfully applied for a substantial grant from Viridor to purchase the building. It is now fundraising to tackle the repairs necessary to make the hall safe and user-friendly, including providing disabled access. For more information about Myakka visit www.myakka.co.uk.